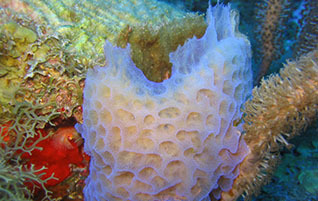 Sponges are among the earliest diverging metazoans and, despite being common residents of benthic habitats worldwide, they are relatively understudied. 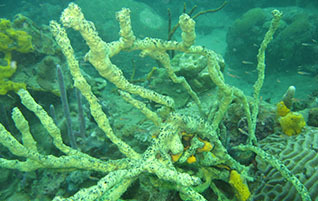 Phylum Porifera contains 8,122 valid species with an estimated 4,000 awaiting discovery and/or description. They are classified in three classes, 25 orders, 127 families and 680 genera. The ancient origin, simple body organization, close microbial associations and morphological plasticity of sponges make them one of the most challenging groups in animal systematics. Reflecting these difficulties, phylogenetic relationships within Porifera remain mostly unresolved. In particular, the monophyly of the phylum and its largest class, Demospongiae, has been questioned, as well as the relationships among its major lineages. 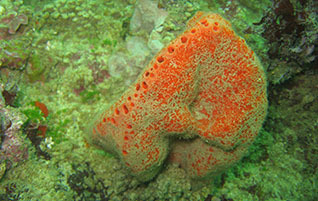 The lack of a robust phylogenetic hypothesis for this phylum hampers progress in basic studies of sponge biology and biodiversity, including comparative evolutionary studies that employ sponge species as model organisms and efforts to conserve or economically exploit sponges. The goal of our team is to provide a phylogenetic context that will improve the understanding of all aspects of sponge biology.